You are here: Home » China Watch » Human rights, Tibet to be priority during Xi-Obama Sep’15 summit? Human rights, Tibet to be priority during Xi-Obama Sep’15 summit? Mr Tom Malinowski, Assistant Secretary of State for Democracy, Human Rights and Labor, US Department of State. (TibetanReview.net, Aug15, 2015) – The United States pressed China hard on human rights issues, including religious freedom and deteriorating situation in Tibet, during their 19th bilateral human rights dialogue held in Washington, DC, on Aug 13. China tried to hit back by referring to increasing racial attacks and police brutality in America. The dialogue took place ahead of Chinese President Xi Jinping’s state visit to the US in September. 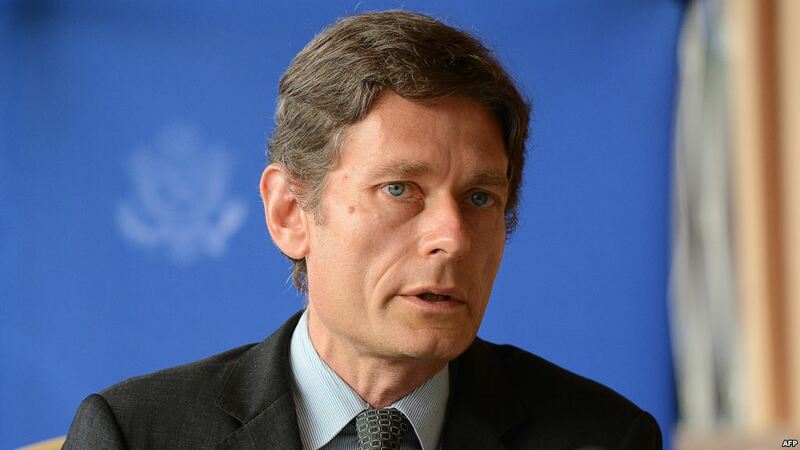 Assistant Secretary of State for Democracy, Human Rights and Labor Tom Malinowski, who led the US delegation, said the rights issues will feature very prominently in Xi’s meeting with President Barack Obama. Malinowski said that during the day-long US-China dialogue on human rights, the US pressed China on a number of human rights issues including the recent crackdown on lawyers and increasing tension in the Tibetan areas. “The dialogue gave us a chance to convey in advance of that visit the growing sense of alarm in the US about human rights developments in China and to stress the importance of making specific improvements in keeping with China’s own laws and international commitments,” he said while briefing the press after the dialogue. Malinowski said that while the vast majority of the conversation concerned events in China, the latter did raise a couple of issues on events in the US, such as the recent incidents of police violence, including the Ferguson case. On the Ferguson case, Malinowski said: “Ferguson case was raised briefly and I actually thought this was quite interesting because they said ‘We all saw that on TV’ and my response, without in any way diminishing the seriousness of the problem that we are facing in the US, was, ‘Exactly, you saw it on TV because the Chinese state media was able to be in Ferguson and to cover those events nonstop from start to finish. “The international media does not have that kind of access in China when there is violence, in Tibet or Xinjiang or in other parts of the country. Nor, I would add, did the US Government arrest the lawyers of Michael Brown or people who took video footage of the police violence.” Malinowski said there were institutions within the United States that enable people with grievances to seek redress through the law, through the media, through open debate. The Chinese side was led by Mr Li Junhua, the director general of the international organization department in the foreign ministry. Mr Malinowski’s reply to the Chinese delegation was candid and to the point and that shows his indepth knowledge about Tibet issue and China’s abuse of human rights and freedom in China and it’s colony Tibet.